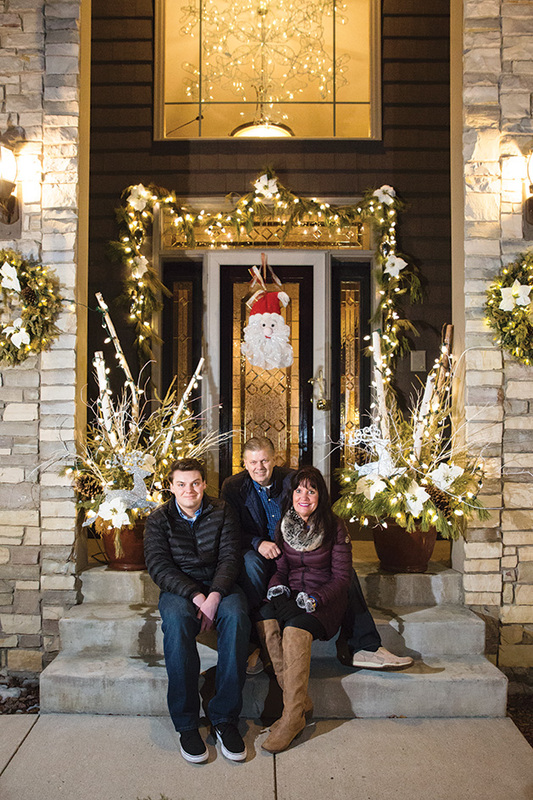 Family’s annual Christmas decorations bring joy to the neighborhood. The holidays are a time for spending quality moments with family, eating delicious home-cooked meals and goodies and setting up treasured decorations for everyone to enjoy. Lori was drawn to Christmas from an early age, explaining that, as a child, it was always her favorite holiday. Her love of Christmas never faltered and continued to grow as she became an adult, especially when she gained more experience in decorating. “One of my first jobs was working at Bachman’s main store, and that’s where I really got the knack,” she says. Lori is the one who plans out the design each year, and she picked up a lot of tricks from her time at Bachman’s. “It has to have balance, creativity and look neat,” she says. Beach family members change up the theme every year. Last year, they focused on having simple but beautiful white lights, but previous years, they’ve had themes focused around snowflakes, snowmen and more. “We’ve done red and white, candy canes. Sometimes, I change it up and do multi-colored,” Lori says. “Sometimes, I find one piece that I really like, and then I go with that,” One year, Lori found a big snowman head and focused her entire theme around that. Their passion and commitment to making their house look gorgeous is never impeded by Minnesota’s tricky and fickle weather. “One year, we were [decorating] trees on snow banks two feet high. Another year, we were putting up lights in short sleeves and shorts,” Lori says. But ultimately, Christmas is more than the lights for the Beaches; it’s about family and friends coming together. 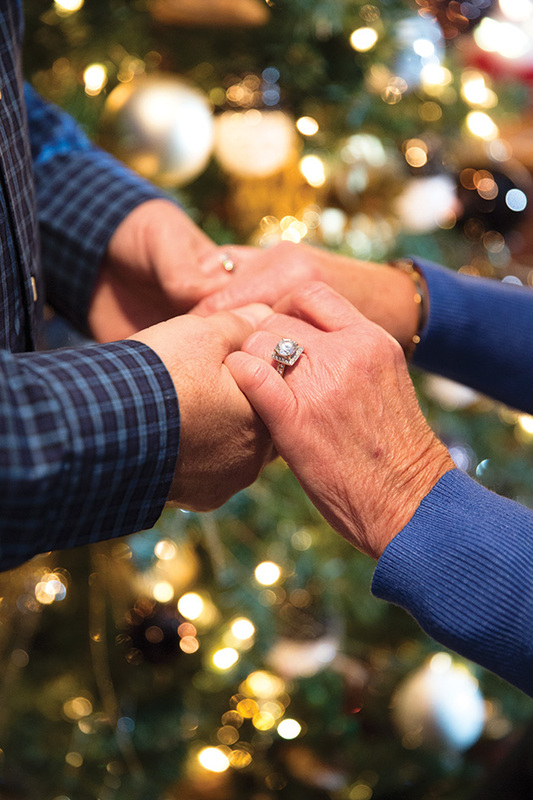 They always participate in a handful of other traditions throughout the Christmas season. “Other than just celebrating Christmas Eve and Christmas Day with our family, we always do a gingerbread house. Everybody brings candy. We make one every year. We decorate it all together,” Lori says. “I always have a cookie exchange at my house for my friends and neighbors. That’s always a fun time.” It’s clear that the Beach family’s love for Christmas and the festive holiday season creates a wonderful atmosphere for the family and their neighborhood to enjoy. “It just makes you feel in the spirit of Christmas,” Lori says.